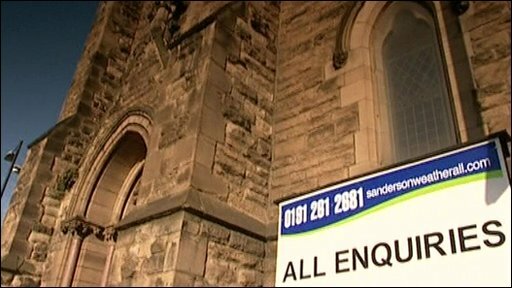 Two churches on the same street in Sunderland have been put up for sale. The United Reformed Church congregation has decided the buildings are no longer fit for purposes and are too expensive to heat and maintain. And similar problems are faced by many of the 50,000 churches in the UK.